Will To Live Foundation Honors 25 Scholars for 2015-2016! Congratulations to each winner of the 2015 – 2016 school year Life Teammate Scholarship award – You have been recognized by your peers! Always remember a compliment from a teammate means so much more than a compliment from a coach! 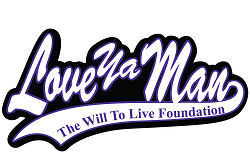 We know you’ll be great ambassadors of the Will to Live Foundation as you begin this exciting new phase of your lives! Read more about the Life Teammates Scholarship program. ← Ted Talk? How about Traut Talk?